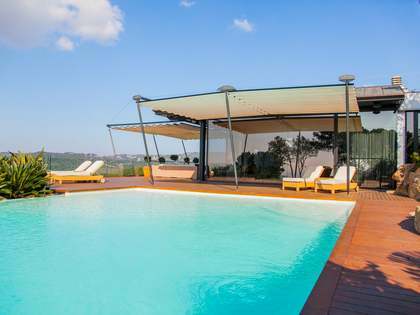 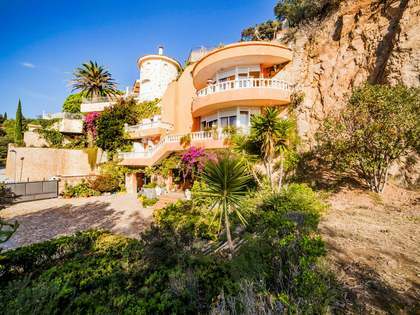 This first line Costa Brava property to renovate is situated in a breathtaking hilltop location on a headland with views over the rugged Costa Brava coastline and a pretty cove below. 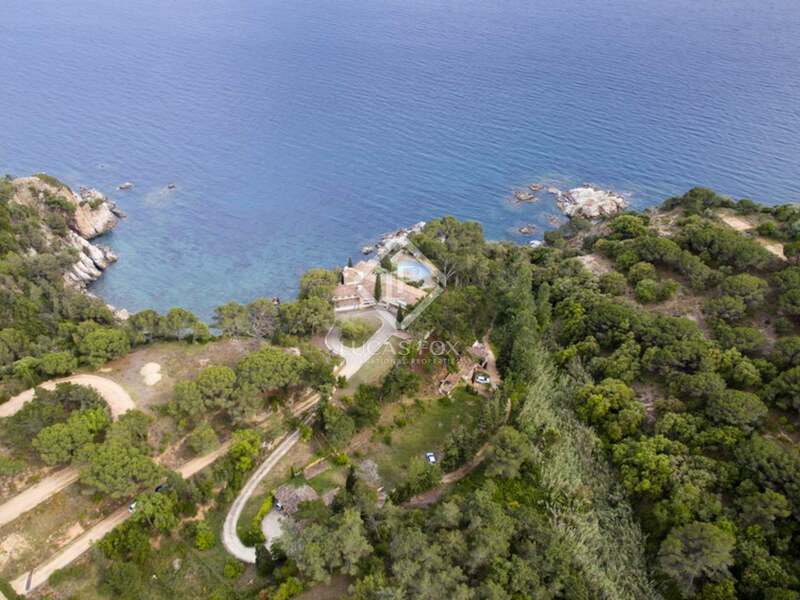 The property is situated in a plot of over 15.000m2 in a protected area offering complete privacy and boasting some of the coast's most striking sea views. 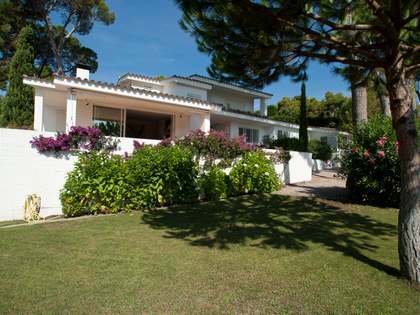 The house requires complete renovation but would make a wonderful luxury first line estate in a unique location. 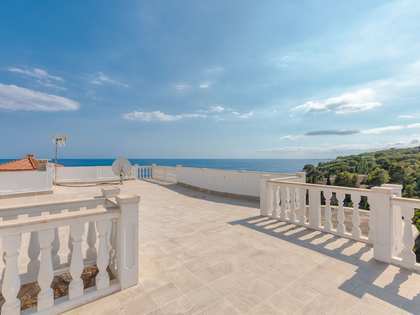 The property includes a main house of 670m2, a staff house of 60m2 and a small guesthouse of 70m2 - all in need of renovation. 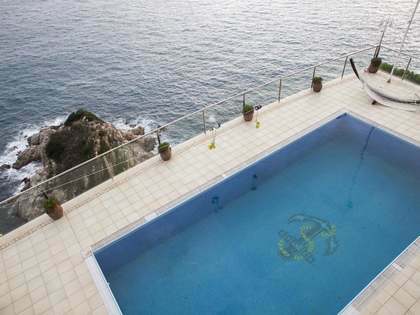 The property is accessed via a private driveway and is located in an exclusive residential area close to Lloret de Mar. 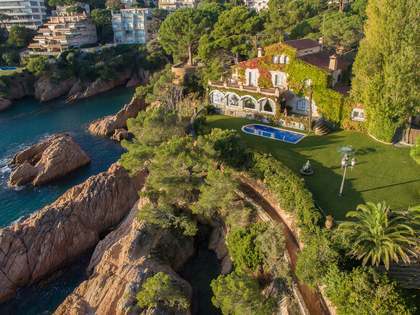 This is a rare opportunity to acquire a first line estate in a unique location in one of the Costa Brava's most exclusive coastal areas. 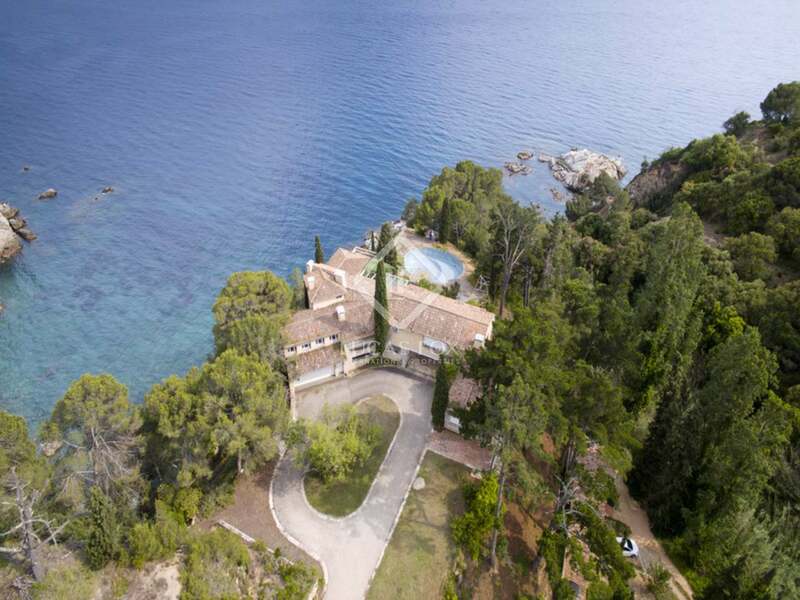 View more Costa Brava real estate to buy.